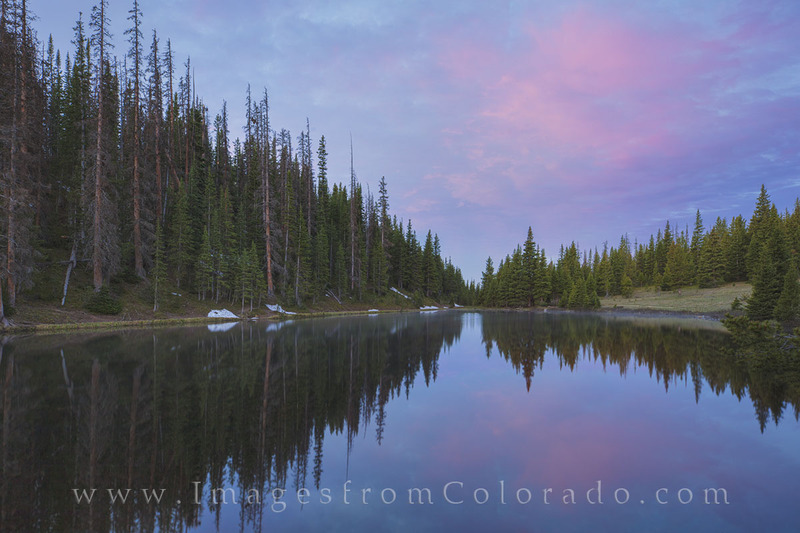 On a calm morning in Rocky Mountain National Park, Lake Irene offers a nice reflection of pink morning clouds well before sunrise. This is one of my favorite places to shoot the Milky Way about 2 hours before first light, but on this morning, after a night of clear skies, soft clouds filled in as light poured over the Rockies. Photo © copyright by Rob Greebon.